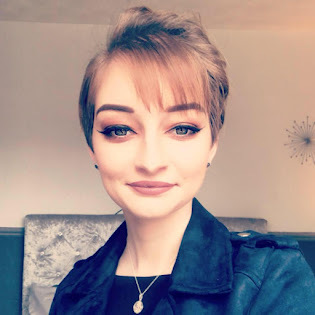 So today I thought I do something a little different as I'm enjoying bringing new things to my blog and I want it to be a place where we can all chat about our experiences. 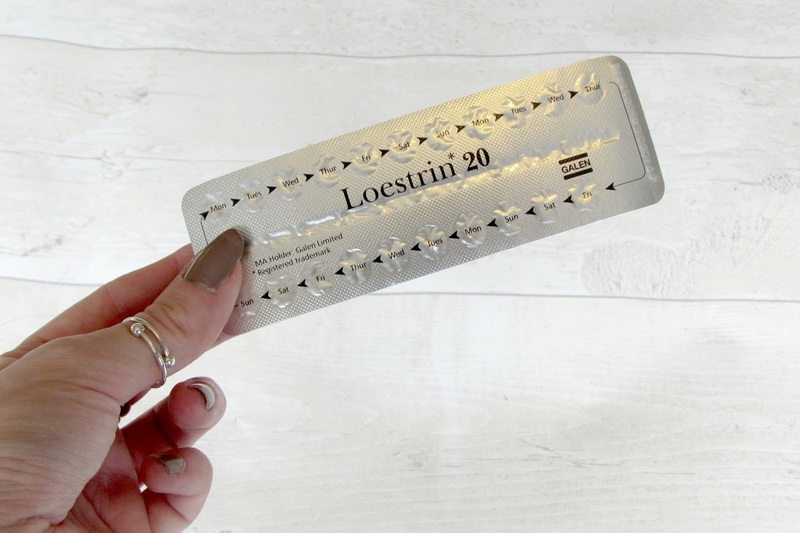 So today I'm going to be sharing my experience with the Loestrin*20 contraception pill which I've been on for a while now so let's get into it. I started the pill a while back now I can't remember the exact year or how old I was but I simply started the pill as I had started my periods and they were horrendous I was the girl with the crippling pain and none stop toilet runs (To much info sorry!) but I was just having such bad experiences with my periods my mum took me to the doctors and this is what he suggested so I started taking the pill once my period had stopped and I was starting my cycle. So I'm quite an organised person so I never forgot to take the pill and I took it on a morning when I had my breakfast and a cup of tea so I always knew when I was taking it. So I would recommend finding a time you think would be perfect for you to take it which you would remember it. The first period I had on the pill was such a terrifying experience because of the pain and I still remember it today even though it was years ago. I remember waking up in the middle of the night to crippling pain and I was in so much pain I was crying and my mum said that night if this was what I would be like I had to stop taking it. From that night forward I've never had pain like that so I think it was just my body changing with the pill which at the time it was terrifying but now I'm so glad I'm on the pill. So when I started the pill as I said it was mainly for my pain and my heavy flow (Again sorry for too much info!) but we're girls so we've all been through it- If your a boy then your getting an insight of what a girl goes through on a monthly basis. I didn't use it back then for contraception as I didn't have a boyfriend. I've been on the pill a few years now and I don't have any intention of coming off it until I'm ready to start trying for children which isn't for a long while yet but it's best to be prepared but I have to say I have such a better experience with my periods now as my period only lasts around four days and my flow is a lot lighter than before which is always a bonus I do have the first day or so where I have my heavy flow but I find that normal now for my body so it doesn't bother me. The pain is much calmer now and again I do get the obvious pains like leg ache, Stomach ache and sickness before my period but throughout the four days as long as I take tablets to ease the pain it doesn't cause any issues to my daily routine which it used to before the pill. When a lot of my friends started taking the contraception pill they were all on different ones to me which at the time I thought 'What is wrong with me, Why is mine different?' But just remember everyone's body is completely different so we all need different ones to work best with our body but I've never had an issue with this pill so I don't feel like I need to change the pill. I do have a lot of mood swings but I honestly think that's just me as a person so I don't think the pill affects me in that way but it could be something which triggers it with the hormones inside the pill I'm not sure but I still don't think I will need to change my pill. Now as for using the pill for contraception that does happen now and I've never had any issues with it, I will say though you need to take your pill regular and not miss a day for it to work completely so don't think of not using any other form of contraception without being certain the pill is going to completely protect you from the unexpected. This pill is the one where you have a seven day break which is where I have my period so I have twenty one days on the pill and then I have seven days off before I start taking the pill again which really does work well for me so I don't want to change it anytime soon as it's finally into a routine and I know when it's going to happen. So if your on a contraception pill or your thinking about it feel free to comment below with any questions or tips and we can all have a little chat in the comments on our experiences. Do you use a contraception pill?